With more than two decades' experience behind the lens, Daisy Gilardini has made it her life's mission to share the beauty of nature and the importance of the wilderness with Canadians and the world. The Swiss-born, Vancouver-based wildlife photographer has travelled to more than 70 countries, taken part in more than 60 polar expeditions, won several major awards and been published in some of the world's leading magazines. 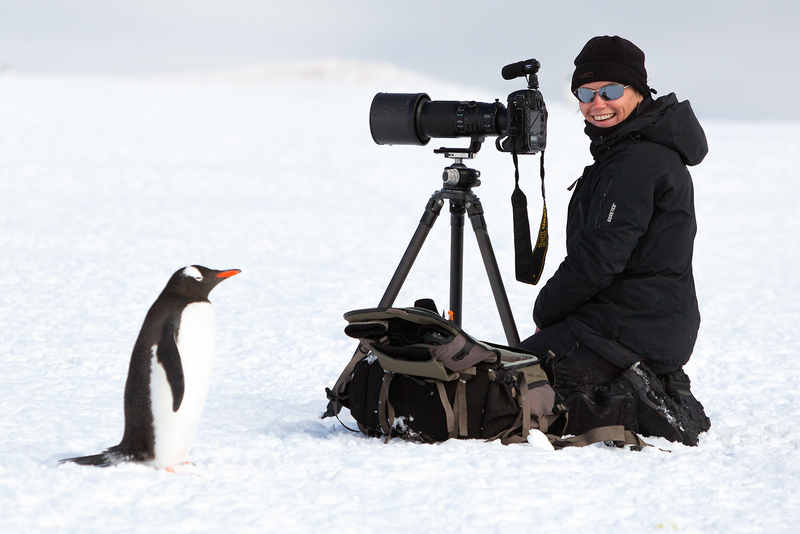 Now, she's excited to reach new audiences in her role as one of Canadian Geographic's Photographers-in-Residence. Here, she discusses where she's headed next, what she's packing and her advice for aspiring photographers. Every moment in the field is memorable. The isolation from modern civilization and all the distractions that come with it brings me back to appreciating the simple rhythms of nature and inspires a deep passion and respect in me for the importance of these delicate ecosystems. Of course, being a wildlife photographer who specializes in polar regions and North American bears, I do spend endless hours at the mercy of the most challenging weather conditions. 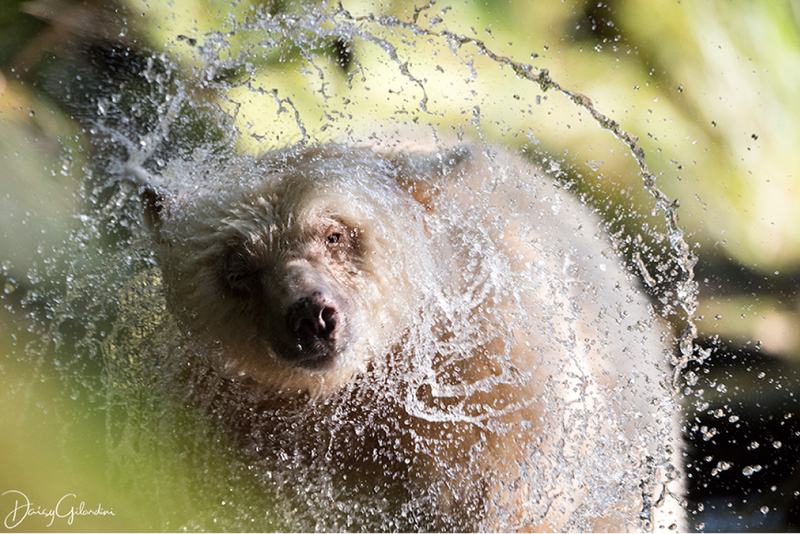 Whether it’s torrential rain in the Great Bear Rainforest in B.C. while photographing Kermode bears, or snow and windstorms while photographing penguins in Antarctica, or temperatures dropping to – 57C while I look for polar bear dens in the Arctic, discomfort, cold, wet and frustration are all part of my daily life in the field. The rewards are priceless, however, when you get to witness a mother polar bear emerging from a maternity den, followed by her cubs; the hatching of a King penguin; or a Spirit Bear catching a salmon just a few feet from where you’re working. I just came back from Wapusk National Park in Manitoba, where I was photographing polar bears and their cubs. At this time of year, they’re emerging from their winter dens for the first time. In late March I’ll head back to the Norwegian Arctic and the Svalbard Archipelago, also looking for polar bears. I’ll spend the first week of this assignment scouting the frozen fjords on snowmobile. Then, for three weeks after that, I’ll be onboard a small ship cruising the ice edge. This will be my first time visiting Svalbard at this time of year. I’m looking forward to that special light that characterizes the end of winter and beginning of spring. I work in some of the most challenging environments on Earth, so I need to rely on extremely trustworthy and sturdy equipment. Nikon has never disappointed me. I always carry at least two bodies — one half frame and one full frame. One is mounted with a wide-angle zoom lens, usually 24/70mm f/2.8, and the other is mounted with a long lens, usually 80-400mm f/4.5-5.6. This allows me to cover the full range from 24mm to 600mm. Using zoom lenses as opposed to fixed telephotos gives me more flexibility when shooting wildlife, where one’s ability to move is often restricted. I do not travel light! My equipment also includes two Mountaineer carbon fibre Gitzo tripods, a ball head and a fluid head for filming, a pair of Nikon EDG 8X32 binoculars, a DJI Phantom 4 Pro drone, an underwater Aquatech case, a boom pole, a GoPro and a Garmin GPS unit. In wildlife photography it’s essential to know your subject, so you can anticipate behaviour and catch the magic moment. It takes time and knowledge to capture their personalities and — in a single shot, in a fraction of a second — freeze those anthropomorphic expressions that are essential to making a connection with the viewer. Returning to the same locations year after year will also give you a better understanding of the light conditions at any given time. My philosophy in life is “follow your heart.” To be successful, I believe you have to apply the “3 P” rule: Passion, Patience and Perseverance. Passion, because the attention and love you put into your photography shines through in your images. Patience, because there’s a lot of frustration involved in wildlife photography. You can spend hours and hours — and even days or weeks — in the field without getting the shot you're looking for. And perseverence, because in the end you will succeed ... if you are patient enough! During my first trip to Antarctica in 1997, I photographed an iceberg shaped as a heart. This image has become very symbolic for me, and not just because it won a major award in 2000. I feel like I left a piece of my heart in Antarctica during that first trip. Every time I go back now, each year, I feel I have to check on it. To see more of Daisy's work, follow us on Instagram at @CanGeo and @CanGeoTravel!